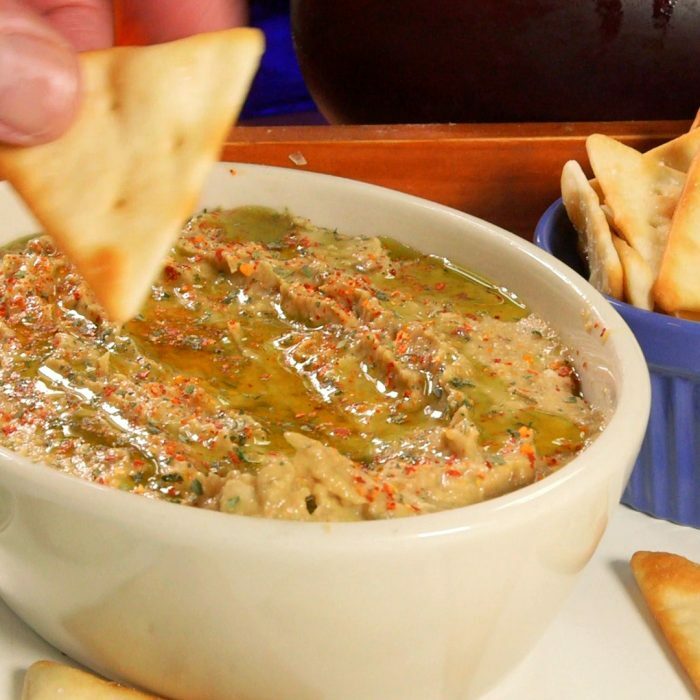 By accessing this page you agree to our Terms And Conditions. 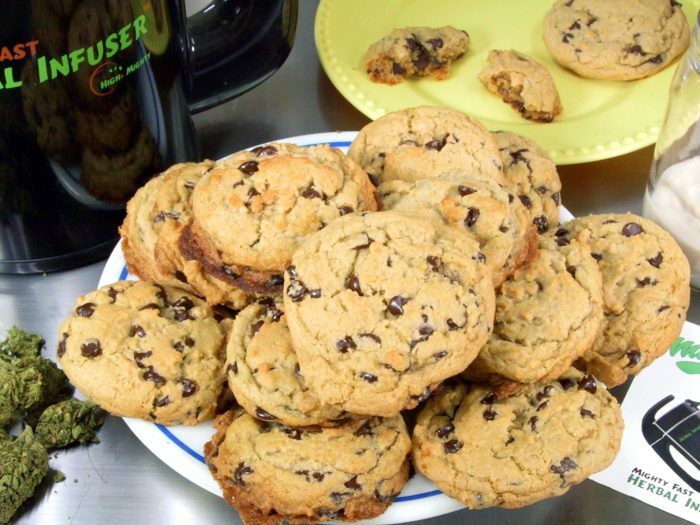 Vegan Chocolate Chip CookiesBy InfusedEats Chewy and gooey cannabis Infused Vegan Chocolate Chip Cookies made with coconut oil and applesauce. 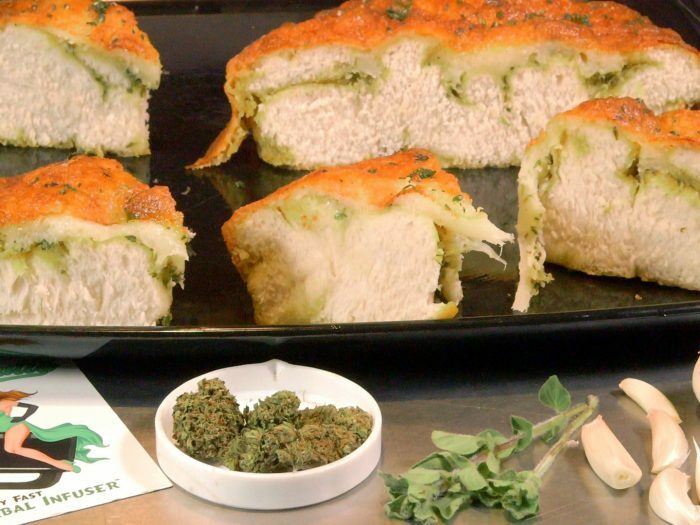 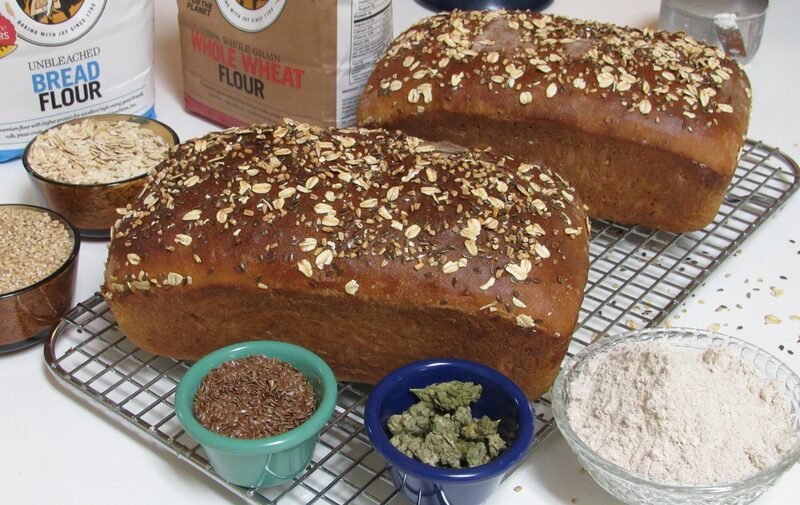 Infused Garlic Herb Cheese BreadBy InfusedEatsTangy fresh garlic and zesty herbs round out the taste of this cheesy cannabis infused pull-apart garlic bread. 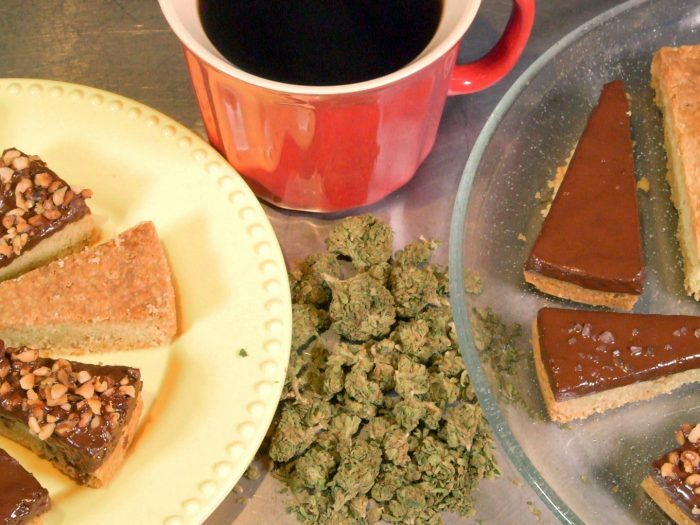 Cannabis Infused Scottish Shortbread CookiesBy InfusedEatsA deliciously simple cannabis Infused Scottish Shortbread Cookies Recipe that is rich and intensely buttery. 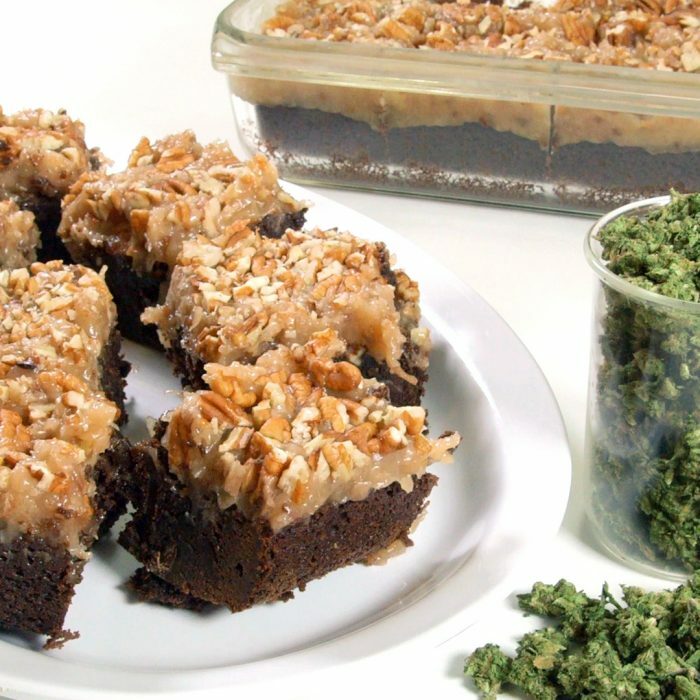 Dank Forest Weed BrowniesBy InfusedEatsDank and delicious, these chocolaty cannabis brownies are made with rosin chips and topped with coconut icing and toasted pecans. 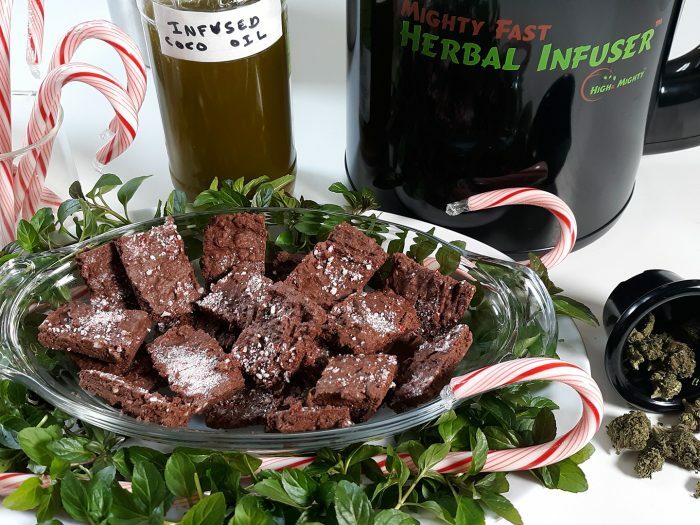 Mighty Fast Peppermint CrackleBy InfusedEatsZinging with peppermint sweetness! 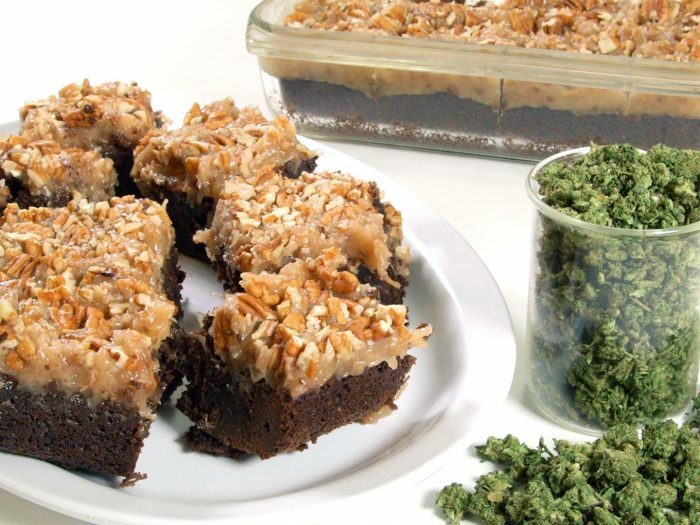 Cannabis infused chocolate crackle candies; the perfect Mighty Fast Herbal Infuser recipe. 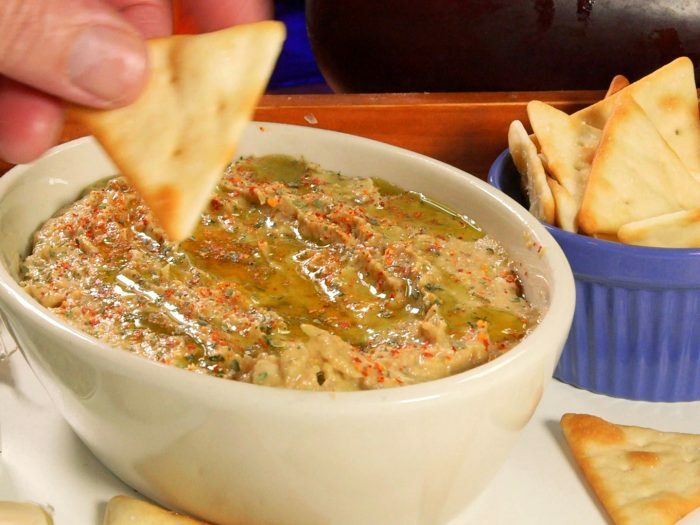 Cannabis Infused Baba GhanoushBy InfusedEatsGanja Ghanoush is a variation of traditional Baba Ghanoush using homemade cannabis infused Tahini paste and roasted eggplant. 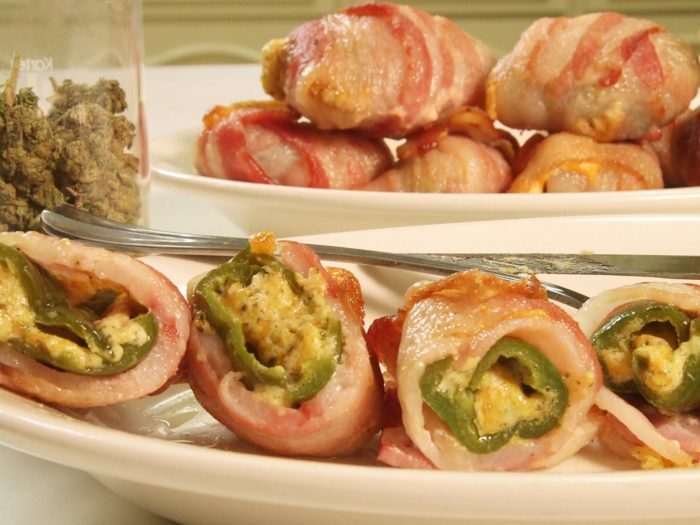 Cannabis Infused Jalapeno PoppersBy InfusedEatsCannabis Infused Jalapeno Poppers with chive, cheddar, cream cheese and bacon are a fresh and spicy summertime recipe. 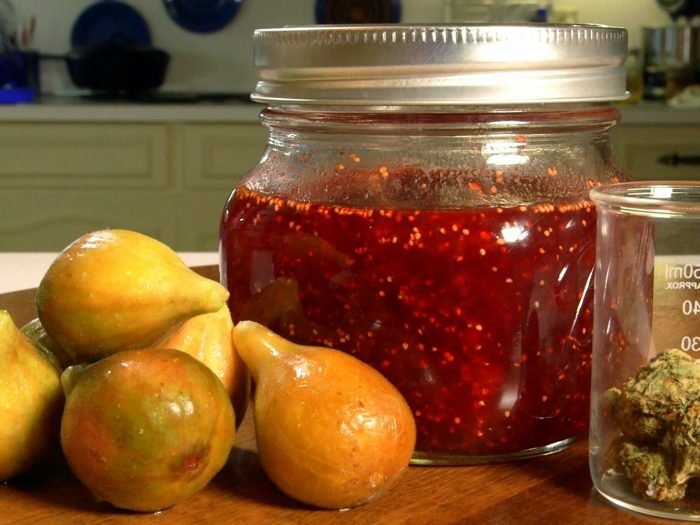 Cannabis Infused Faux Fig JamBy InfusedEatsThis Faux Fig Jam is sweet & delicious on warm biscuits or a PB&J plus the added benefits of being infused with cannabis. 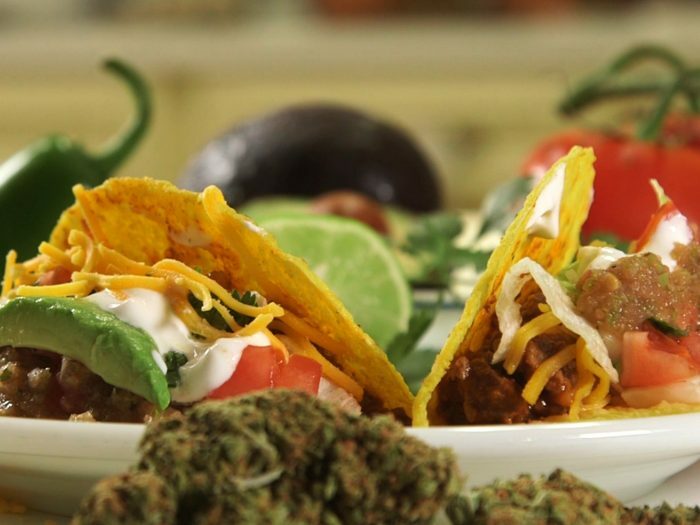 Cannabis Infused Taco BeefBy InfusedEatsDelicious and simple marijuana recipe is perfect for making tacos, nachos, burritos, Sloppy Jose or any number of recipes. 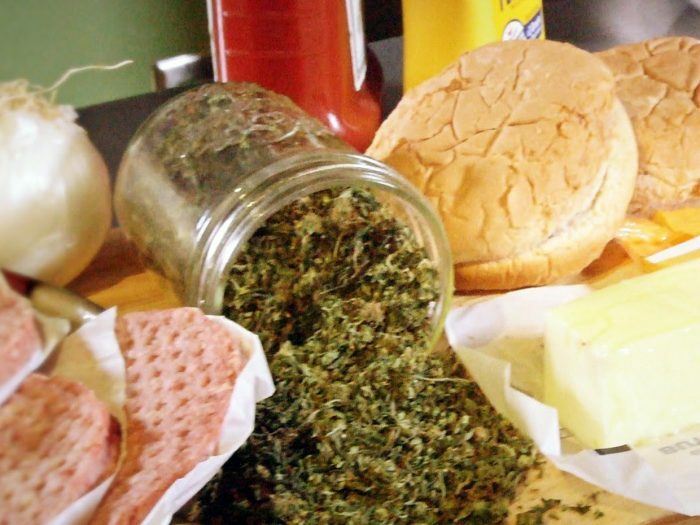 Bacon Cheddar CannaburgersBy InfusedEatsPacked with cannabis, cheddar cheese, bacon and onion, better grab the big buns 'cuz this cannabis burger is a monster! 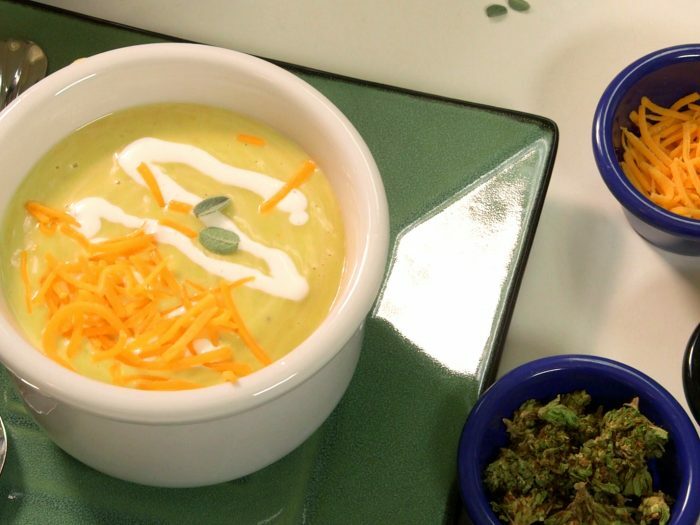 Savory Cannabis Butternut Cream SoupBy InfusedEatsSavory soup made with winter squash and cannabis may not have been on your mind, but trust me, you want this! 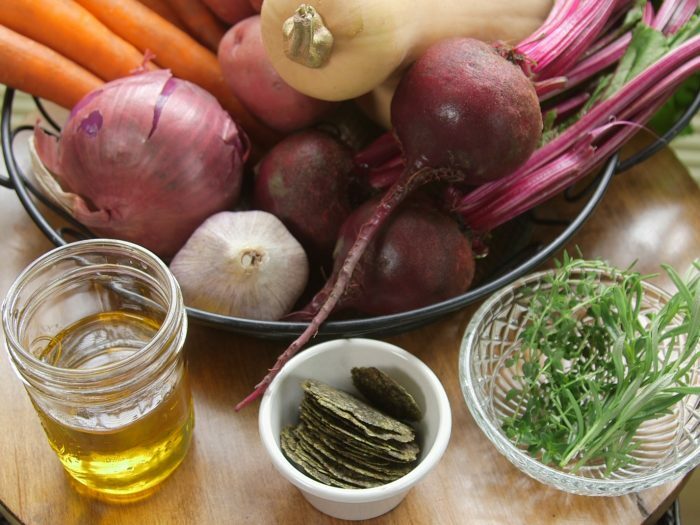 Cannabis Infused Roasted Root VeggiesBy InfusedEatsCannabis infused olive oil combine with carrots, beets, squash, onion garlic & potatoes, tender & delicious with a pleasant high. 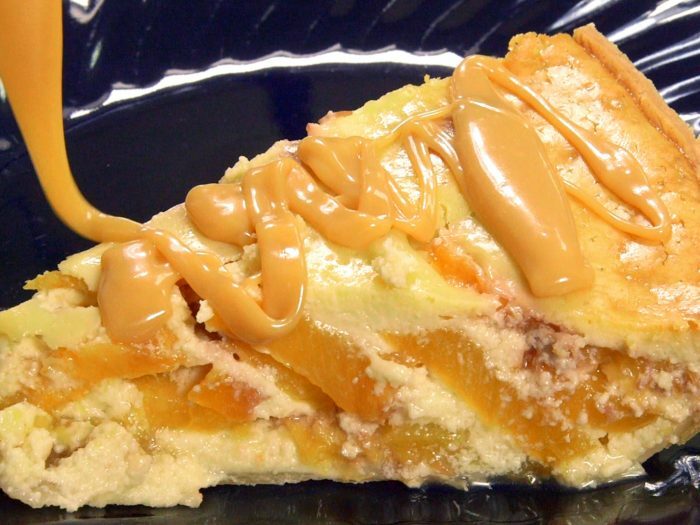 Cannabis Peach Cream Cheese PieBy InfusedEatsCannabis infused Peach Pie combines fresh tart peaches with a cream cheese base for a decadent combo of peach pie & cheesecake. 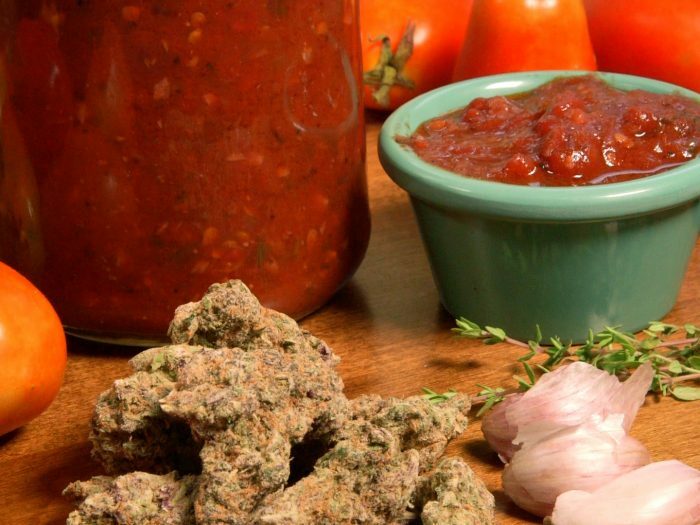 Cannabis Infused Fresh Tomato MarinaraBy InfusedEats Cannabis infused fresh tomato marinara sauce to make pizza, spaghetti and other Italian inspired marijuana infused dishes. 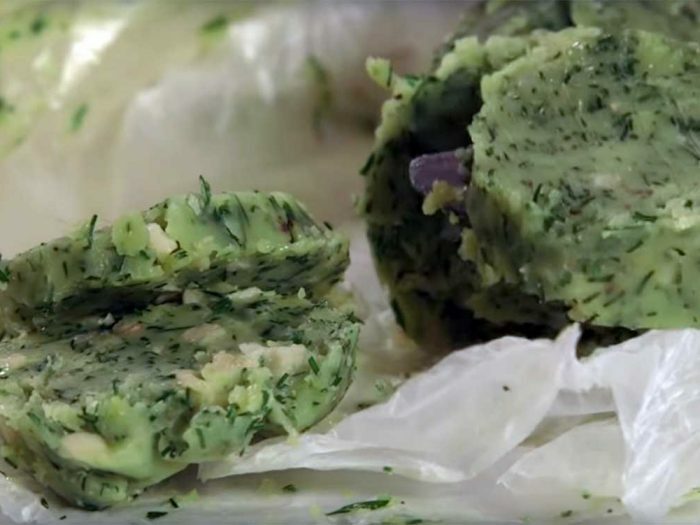 Lemon Dill Cannabis Compound ButterBy InfusedEatsAdd some real zest to many dishes with this Lemon-Dill Cannabis Infused Compound Butter Recipe using fresh "herbs", citrus and butter. 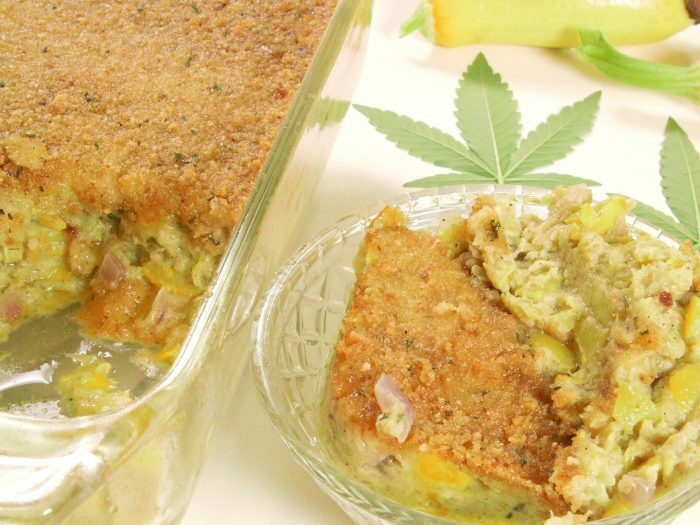 “Baked” Summer Squash CasseroleBy InfusedEatsFull of fresh harvested summer squash & cannabis infused butter this Southern treat will please the taste buds & the mind. 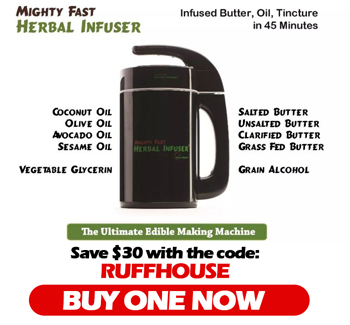 Cannabis Infused Gummies RecipeBy InfusedEatsThis very popular Cannabis Gummies recipe from RuffHouse Studios using marijuana Infused Coconut Oil will do the trick! 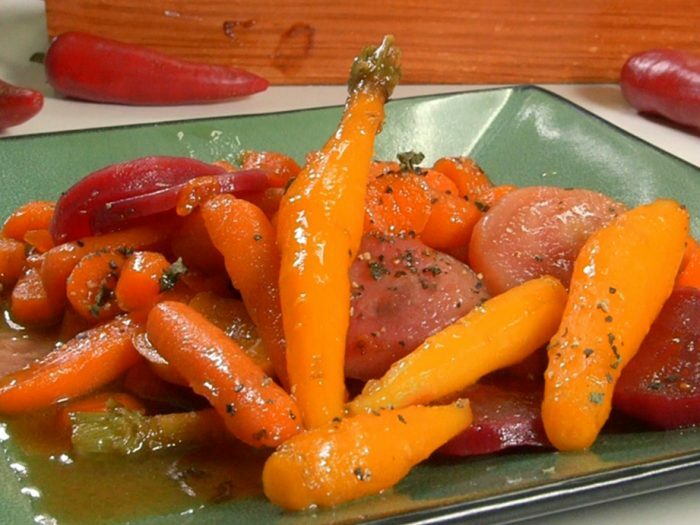 Glazed & Confused Cannabis CarrotsBy InfusedEatsGet yourself glazed & confused with this sweet and savory Cannabis Infused Honey Glazed Carrots and beets recipe. 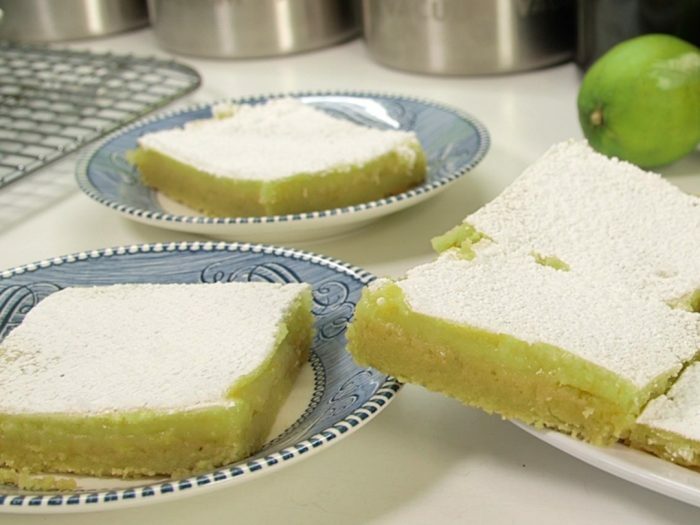 Cannabis Infused Lemon/ Lime BarsBy InfusedEatsYour Cannabis Infused Lemon/ Lime Bars will bring some serious zest to the party with this tart and sweet recipe. 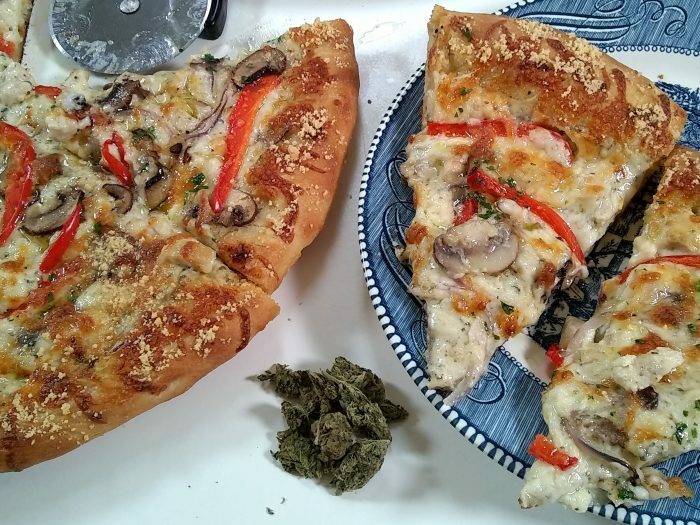 Cannabis Chicken Alfredo PizzaBy InfusedEatsA deliciously savory Cannabis Infused Chicken Alfredo pizza with a tangy sourdough crust to tantalize you. 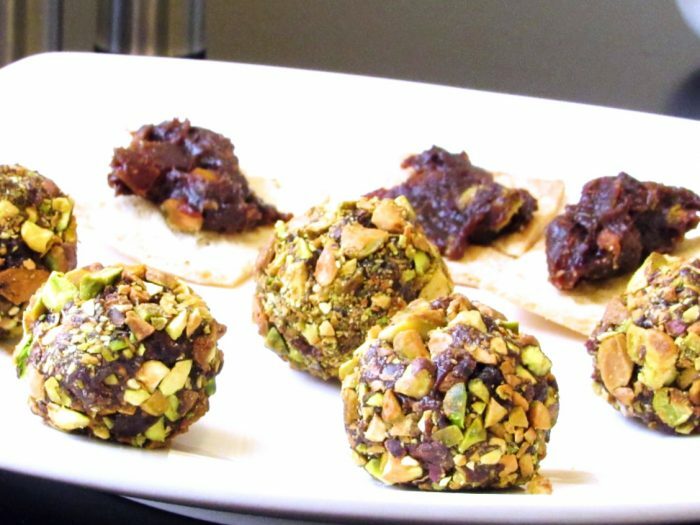 Ancient Moroccan Majoun RecipeBy InfusedEatsMoroccan Majoun, ancient recipe using dates, nuts, honey, butter, cannabis flower, kief & hash to make a powerfully sweet snack. 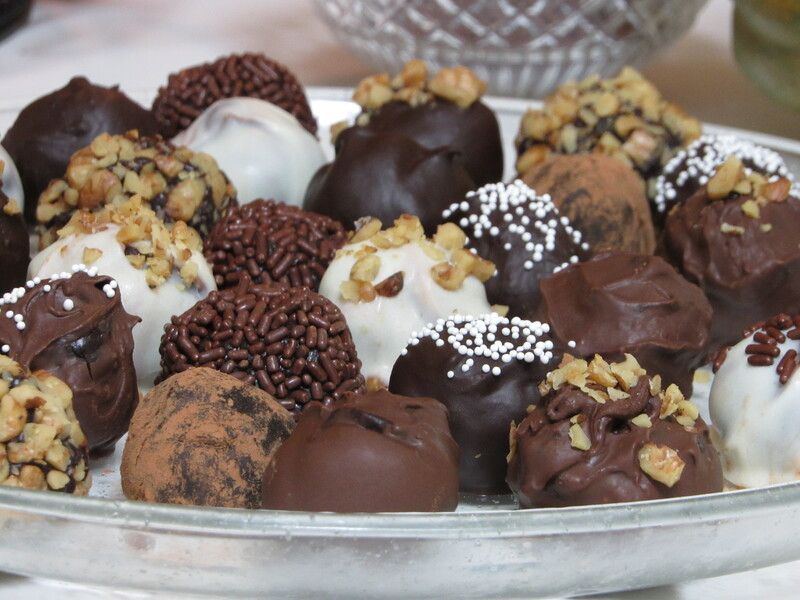 Cannabis Infused Chocolate TrufflesBy InfusedEatsRich and decadent chocolate truffles made with cannabis infused butter in the Ganache as well as the outer coating chocolate for your Holiday pleasure! 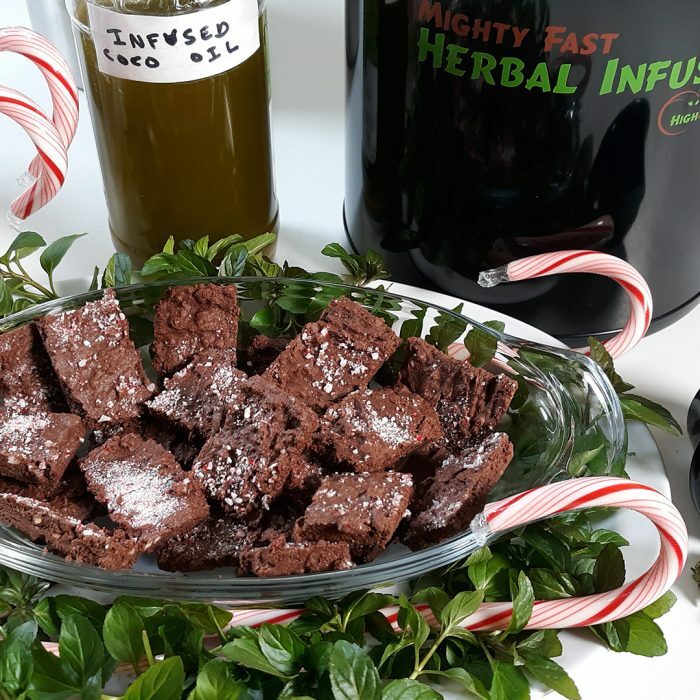 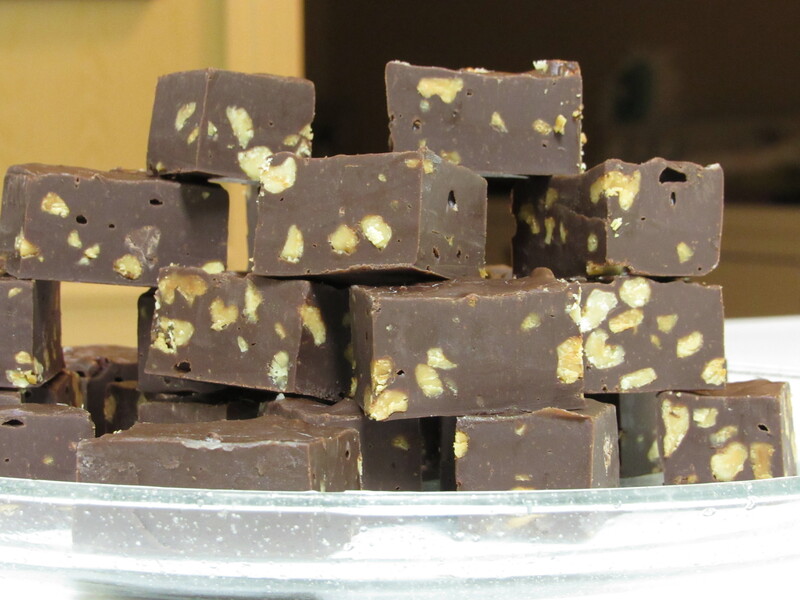 Easy Cannabis Infused FudgeBy InfusedEatsThis easy recipe for cannabis infused fudge is so smooth and decadent that you'll wonder if you actually made it yourself. 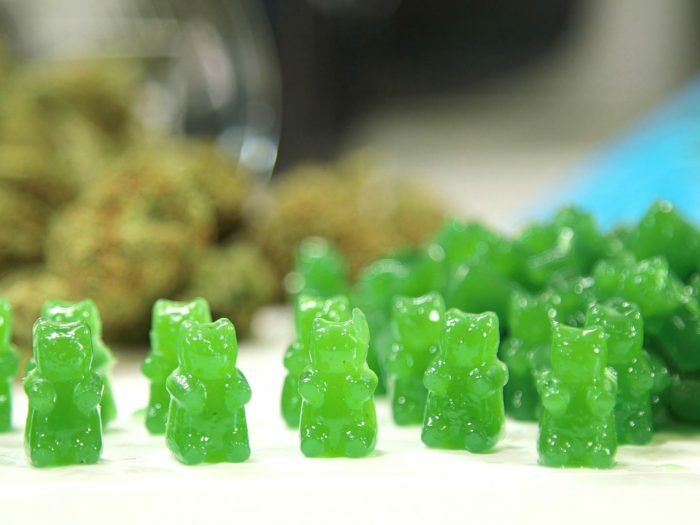 Not only because it's so delicious but also because it's really loaded with THC. 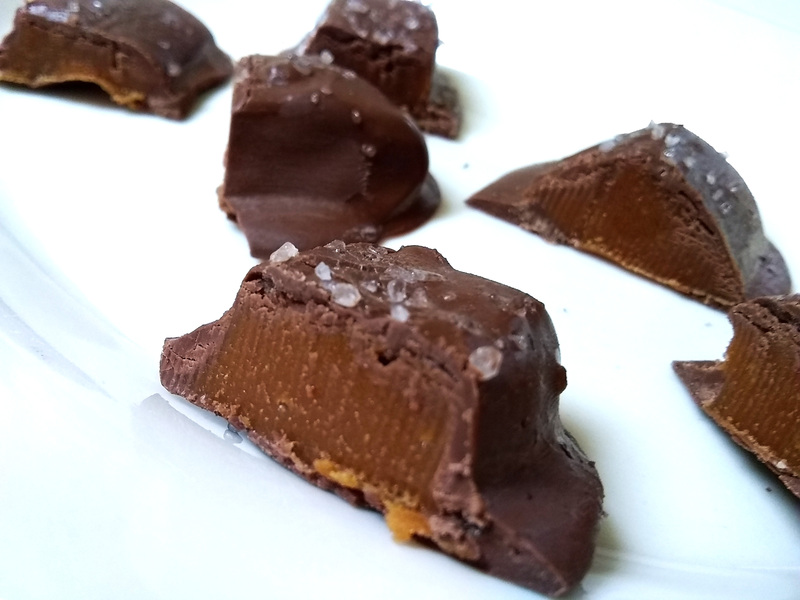 Cannabis Infused Sea Salt Chocolate CaramelsBy InfusedEatsThese delicious Sea Salted Chocolate Caramels are buttery and gooey with a satisfying amount of THC.